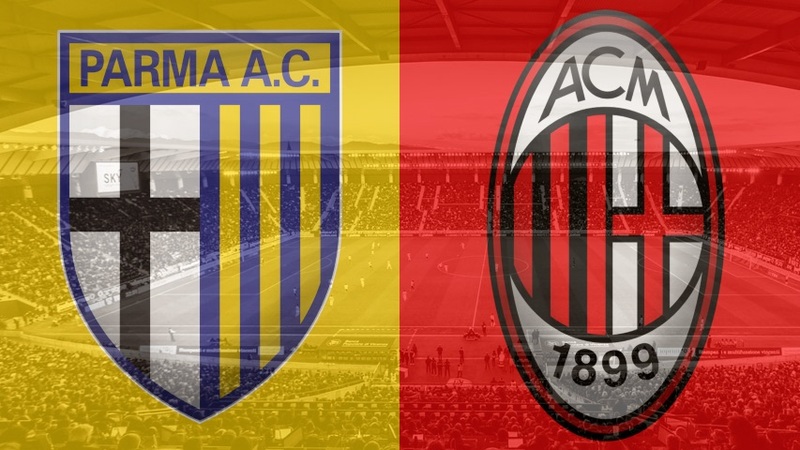 Out of form Parma host Milan seeking a first Serie A win in six matches. The popular Crociati have struggled since the turn of the year, but fared well in the first-half of the campaign and now only need two more wins to maintain their status in Italy’s top flight. Last time: Italian forwards Roberto Inglese and Patrick Cutrone exchanged quick goals before Franck Kessie’s penalty settled the result in favour of the Rossoneri. Milan finally got back to winning ways after a frustrating four weeks. The Rossoneri lost three of four fixtures but managed to grind out a 1-0 victory against Lazio in their most recent outing. Pleasingly for Gennaro Gattuso, Milan were able to dent their fellow European hopefuls’ aspirations of securing a Champions League place, but there is still work to do to ensure the Diavolo return to the top table for the 2019-20 campaign. Gattuso is sweating on the fitness of skipper and defensive lynchpin Alessio Romagnoli. The young stopper came off against the Aquile with a thigh injury and would be a real blow if he was to miss the season run-in. Further forward, Cutrone and Samu Castillejo may come in to contention depending on Gattuso’s choice of formation. Cutrone has featured in a two with Krzysztof Piatek while the Spaniard would get the nod at the expense of Fabio Borini in a wide role. Piatek is 9/4 to open proceedings while his strike colleague is 10/3 in the anytime scorer market. Meanwhile, Milan are the favourites for the contest at 5/6. Visitors Parma have failed to score in their last 180 minutes of action. The Crociati were held to a goalless draw against Sassuolo but it would have been much different if Fabio Ceravolo had converted his penalty. Roberto D’Aversa will look to Ivorian forward Gervinho to make a nuisance of himself and the former Roma man is 15/2 to register first. Parma are 4/1 for all three points and 5/2 to earn a share of the spoils. One to watch for Parma: Juraj Kucka will come up against one of his ex-clubs and has done well for Parma. The all-action midfielder has five goal involvements from 13 appearances and is 17/2 to hit the final effort. One to watch for Milan: Hakan Calhanoglu is now playing in a more central role and enjoying his football. The Turkey international has a wicked right foot and is a threat from distance and dead ball scenarios. Calhanoglu is 4/1 to net first. Long shot: Milan have a reasonable set of fixtures to conclude the term and may need to win each to wade off Roma and Atalanta. The Rossoneri should have too much for Parma on the day and a comprehensive 4-1 outcome is 33/1.